Application charges : Candidates has to pay Rs. 2000/- online to the State Bank Of Mysore(Rs.1000/- for SC/ST candidates). 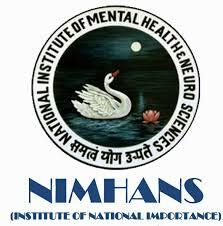 Ways to Apply : Aspirants has to send their form to the Director, NIMHANS, P. B. No. 2900, Hosur Road, Bengaluru - 560029 prior to 07/09/2016.